Founded in 1998, SMT has been Keithley Instrument’s consultancy and sales center in Vienna. 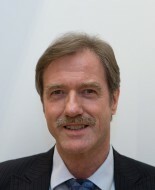 KR Ing Wolfgang Setzer, the owner, had already been CEO of "Keithley Austria" since 1980, before he became head of SMT. SMT offers you more than 35 years of experience in a rapidly changing market. Therefore, SMT provides you with optimum consultation on the newest trends in electronic measuring (e.g. in nano technology) and with “consultation and advice” we do not mean anonymous “hot-lines”, we intend to give real personal support by highly skilled application engineers. You will find that, whether standard product or client specific project, the conjoint solution is always at the center of attention as well as the optimum cost-performance ratio. We have included companies to our product offering, which complement each other harmoniously. In the area of measuring electrical quantities with out new slogan “from Nanovolts to Gigahertz” , we offer a complete product portfolio. We are the Austrian representation and partner for Tektronix, Keithley, FuG-Elektronik, Toellner, Jäger / Adwin, CompMall, Ametek programmable power and Finero. Details and many more things you will find on our new homepage.